HardLine Ducting is fire reistant and 70% lighter than steel and 30% lighter than fiberglass pipe. Telescoping couplings design nests one tube into another to minimize air-leakage in low and high pressure applications. 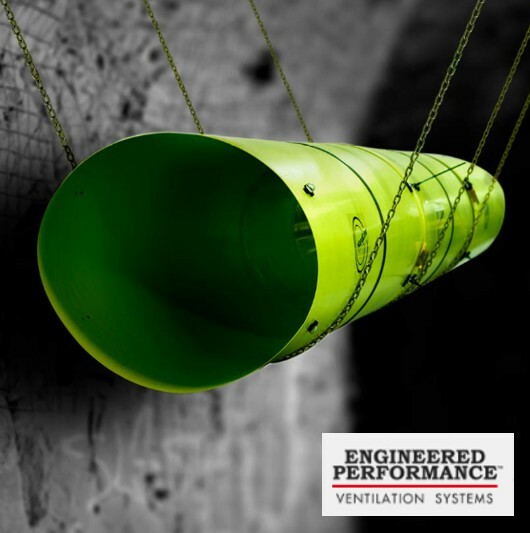 Manufactured using EPVS's proprietary and industry-leading RigiFlex-FR™ polymer designed for mine and tunnel ventilation. No laminated layers to fracture, crack tear or lose bond when subjected to shock and abrasion. Final installation done on site. Product ships flat for transport cost savings.